Please join a panel of experts on Thursday, February 9 at 7:00 pm for Keeping Your Brain Young, an interactive and informative evening for all ages. Explore a variety of preventative, pro-active approaches to brain health and performance with Geriatric Psychiatrist Haleh Nekoorad-Long, Geriatric Physician Anne Giesen, Nutritionist Jay Wilson, and Brain Gym practitioner Fernanda Litt. Cost is $8 at the door. Brain healthy nibbles provided! 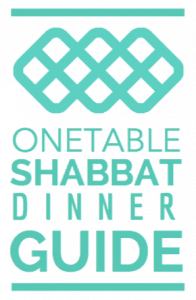 Co-sponsored by Hadassah, Jewish Family Service and Maimonides Wellness Center. Don’t forget to remember to come! Jay Wilson, D.C. has taught postgraduate courses nationally in clinical nutrition, dysbiosis, herbal medicine and clinical kinesiology. In addition to being noted as a chiropractor, Jay is also very knowledgeable about how to keep our bodies and brains healthy with nutritional foods and supplements. Anne Giesen, D.O. is board certified in geriatric medicine, family medicine and hospice/palliative medicine. She has been a practicing geriatric physician for ten years, the past eight in Boulder. She is especially interested and knowledgeable in ways to keep our brains young. Dr. Nekoorad-Long is a Board Certified geriatric psychiatrist and has extensive experience caring for aging adults facing dementia and its challenges. She has operated the Longmont-based Colorado Mood and Memory Clinic since 2003. Fernanda Litt earned her Masters’ Degree in Adult, Continuing and Community Education and is a Licensed Brain Gym Practitioner.